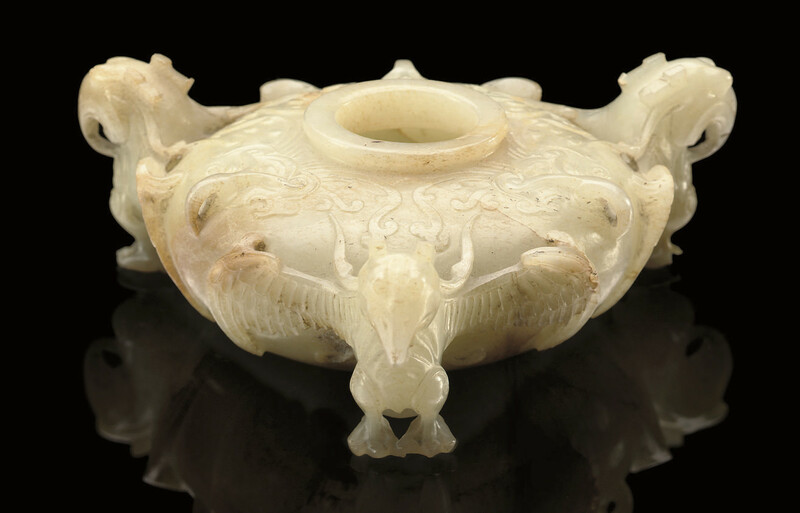 carved and pierced with a central shallow bowl flanked by three standing mythical birds with their wings outstretched, divided by three taotie masks in shallow relief around the broad flattened shoulder -- 4½in. (11.5cm.) wide approx, with a later wooden stand.